Fairbanks saw its first substantial snowfall of the season this week. Between 6-8 inches fell over two days, across the borough. We easily set a record for the latest date to have at least an inch of snow on the ground. The temp this morning was a brisk -4F at the cabin. 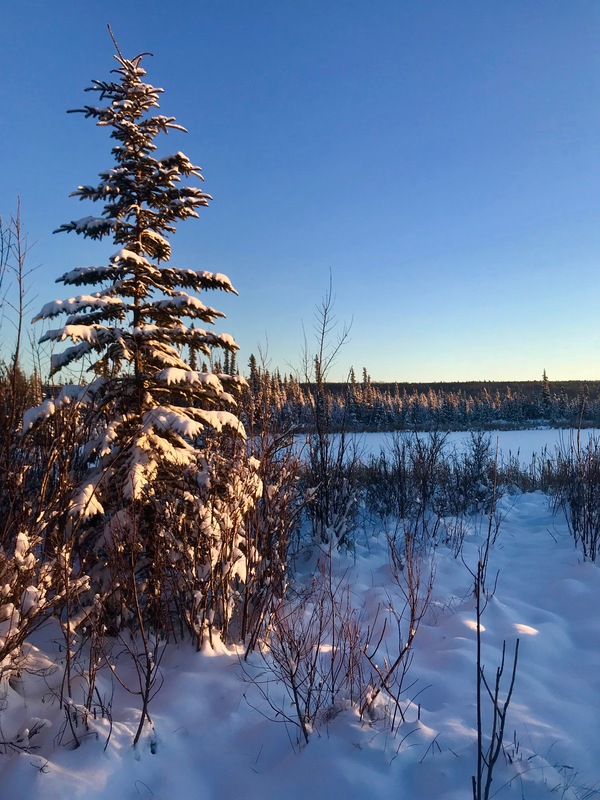 This entry was posted on Friday, November 16th, 2018 at 7:05 AM	and tagged with Fairbanks, history, photo, snow and posted in Alaska. You can follow any responses to this entry through the RSS 2.0 feed.